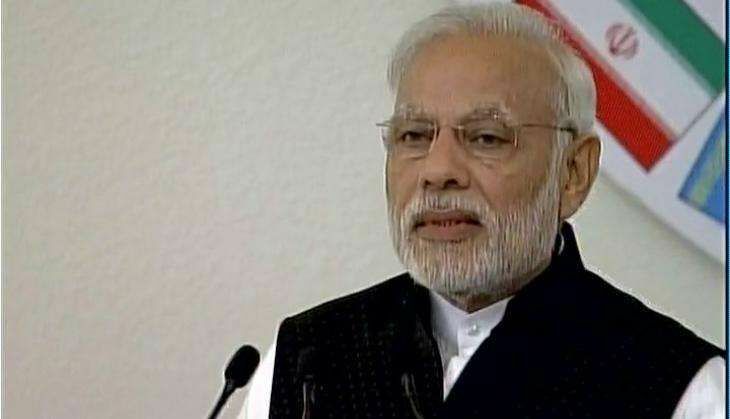 Prime Minister Narendra Modi will lay the foundation stone of the first ever "Indian Institute of Skills" in the country at Kanpur, Uttar Pradesh, on Monday, 19 December. The institute has been opened in partnership between the Union Ministry of Skill Development and Entrepreneurship and the Institute of Technical Education, Singapore. Inspired by the Singapore's model of training, the institute was conceptualized during PM's visit to Singapore's Institute of Technical Education. The idea behind the institute is to make India the skill capital of the world by empowering its youth to be more employable and self-sustainable. The Ministry has decided to have six such institutes. Prime Minister will also inaugurate the Kaushal Pradarshini (Skill Exhibition) for the youth of Uttar Pradesh. The Exhibition would showcase state-of-the-art vocational training practices across different sectors, and would be open for public view at the Railway Grounds, Kanpur between 19 to 22 December. Modi will also launch an array of skill development initiatives for the youth of the country, including Pradhan Mantri Kaushal Kendras (PMKKs) and Drivers' Training Institutes. The event would also witness strategic partnership with various industries that will train and employ approximate 4 Lakh youth over the next three years. The event will also see the announcement of "National Apprentice Promotion Scheme" in the state, informed Prime Minister's blog. "There are only 23000 private companies today that are engaging in apprenticeship across the country. It is MSDE's endeavour to encourage State Government support and ensure engagement with more corporates on apprenticeship trainings. This is one direct way of bridging the gap between the potential employee and the employer and has models under Apprenticeship training has benefited economies of many countries. The financial year target for 2016-17 is to ensure enrolment of 5 lakh apprentices at least across the country. The Hon'ble Prime Minister would also felicitate Public Sector Units showcasing significant advancement in apprentice engagement," it stated. The event is being organized in the presence of Governor of Uttar Pradesh Shri Ram Naik, Union Minister of State(I/C) for Skill Development and Entrepreneurship Shri Rajiv Pratap Rudy, Minister of Panchayati Raj, Uttar Pradesh Shri Ram Govind Chaudhary and MPs Dr Murli Manohar Joshi and Shri Bhole Singh. "We have so far around 400 active skill development centres in Uttar Pradesh covering its 65 districts, run by partners in the ecosystem. Close to 3 lakh youth have already been trained and more than 50% of them have been placed in jobs of their interest. Whether it is agriculture, apparel sector, auto and auto components, banking and financial services, hospitality or leather sector, we have seen youth show interest across sectors and learn the skill of their choice," said Union Minister of State(I/C) for Skill Development and Entrepreneurship Rajiv Pratap Rudy. He further added that the Ministry of Skill Development and Entrepreneurship (MSDE) has plans to open one Pradhan Mantri Kaushal Kendra (PMKK) each, in each district of the country creating opportunities of growth for the youth locally. Launch of about 31 PMKKs will be announced by the PM on Monday.